Trending at $23.97eBay determines this price through a machine learned model of the product's sale prices within the last 90 days. 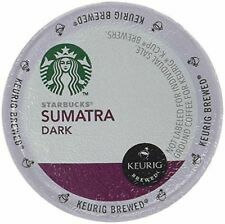 Starbucks Sumatra Dark Roast Single Cup Coffee for Keurig Brewers, 6 Boxes of 10 (60 Total K-Cup pods). Designed for use with the Keurig Single Cup Brewing System. 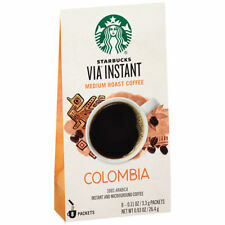 Enjoy the Starbucks coffee you love without leaving the house. 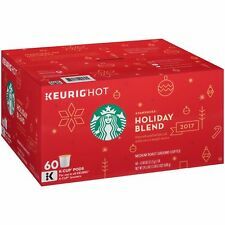 You will receive four boxes of 32 count k cups. All boxes are new, fresh, and factory sealed. Please check out images above for more description and best by date. We appreciate your business! FREE 2 DAY SHIPPING !!! All Bags Best by 04/2019! 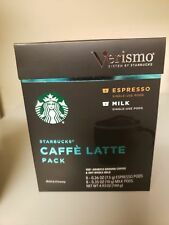 6 Boxes Starbucks Verismo Pods TEAVANA MASALA CHAI, 12 pods per Box, 72 Pods total. The flavorful Starbucks Verismo Teavana Masala Chai Tea Pods is a robust blend of sweetened black tea, rich cardamom, and cinnamon spices. 18 OF THE 9 OZ BAGS. EQUALS 10 LBS. ALL BEST BY DATES ARE 04/2019 and hold a shelf life of 6-8 months beyond this date until actual expiration of product! 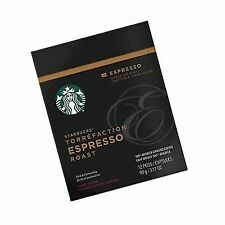 A smooth, balanced brew from a specialty roast of blended coffees. So in 2008 our master blenders and roasters created it for you, a blend so consistent and harmonious that no single characteristic dominates—or disappears. BEST BEFORE DATE IS FEBRUARY 10, 2019. Manufacturer: Starbucks. With our dynamic pricing model, our prices are always competitive. Item color: Brown. You're already purchasing the item.